Who uses Advanced Accounting, and what products/services do they provide? You are almost at the official site of Advanced Accounting software! Addsum Advanced Accounting software is modifiable, affordable and expandable (from a single PC user to dozens of users on your Windows network) for wholesale, distribution and retail industries. The software package includes point of sale (POS), bill of materials (BOM), job costing and integrated credit card processing along with its strong sales order, quotes, single or multi-location inventory control, accounts receivable, purchase order, general ledger, accounts payable, payroll and other modules. Based on predecessor releases that date back to the early 1980's, it has stood the test of time. Join thousands of users worldwide who run their small to medium-sized businesses on Advanced Accounting. What's New in Advanced Accounting 7i? Advanced Accounting was originally published by Business Tools, Inc. and has been continuously and primarily supported and developed by Addsum Business Software, Inc. since 1996. Because of its long product history and because the original publisher had a number of different physical addresses and phone numbers, the list below is provided as a courtesy to prior Advanced Accounting, Books, TAS-Books, TAS Professional and TAS-Plus users as a way to ensure they are at the right place. Addsum continues to support the following products: Books 2.0, Advanced Accounting 3.0, Advanced Accounting 4.0x, Advanced Accounting 5.0, Advanced Accounting 5.1, Advanced Accounting 6.0, Advanced Accounting 6.1 and 7i in addition to the programming languages used in conjunction with these and predecessor products including TAS-Plus 2.0x, TAS Professional 3.0x, TAS Professional 4.0x, TAS Professional 5.0, TAS Professional 5.1, TAS Professional 6.x, TAS Professional 7 and TAS Premier 7i. 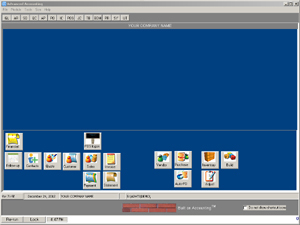 Addsum is also the publisher of the latest version of Advanced Accounting and TAS Premier.